It has been almost 2 years since I penned Want to be Great? Always Touch the Fantastic Line: a story about how I was inspired by my youngest son and his constant pursuit of excellence. 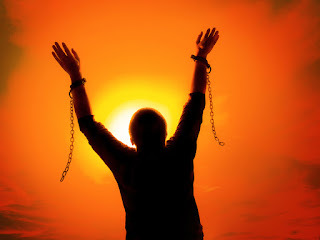 This has been one of my most read blogs, having being read thousands of times. Since that time, I have traveled extensively — circumnavigating the globe twice — and I have been so moved by people that have come up to me and asked me how “Mitty” was doing and if he was still “touching the line”. I have also came across numerous people that have adapted my “TTFL” mantra into their lives. One particular person is a wrestling and football coach and he said all of his students know TTFL and it is a part of their ethos. All of this is very humbling, thank you all for sharing with me. If you haven’t read the blog, the gist of TTFL is that true excellence is achieved by those who never cut corners and do the right thing, even when no one is watching and others are doing so with impunity. If you want to read more on my TTFL philosophy, then please read the link above. Now, what’s happened to Mitty since then?!? Well, Mitty is now 12 years old and has still been pursuing his baseball and basketball passions with the same constant pursuit of excellence. He has also since taken up a love of physical fitness with me and is a regular (and beloved) attendee down at our box, Crossfit Countdown. And finally…. he finally had a growth spurt this summer and now my height-challenged chunky little man is an average height young man that has slimmed down accordingly. And, more importantly, all the hard work he put in before the growth spurt is paying dividends. He recently tried out for his school team and, not only did Mitty make the starting squad, he was a pace setter during the infamous speed drills from the original blog post. He lead from the front, touching the line every time. While I am proud of this young man’s athletic accomplishments, he has continued to be an excellent person and has won many awards for his kindness and compassion for others. TTFL is something that touches every aspect of his life. Will he play professional basketball? Very likely not. Will he make his mark on the world and leave it a better place than he found it? I guarantee it. May we all be able to say the same of ourselves. Last year Delphix blogged about how the Dynamic Data Platform can be leveraged with Amazon's RDS (link here). Subsequently, they released a knowledge article outlining how the solution can be accomplished (link here). 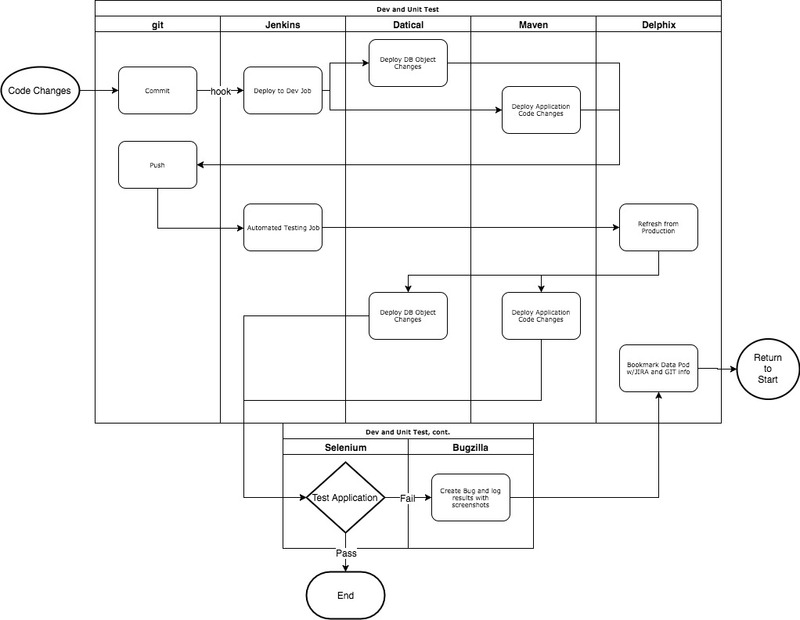 I thought I would take the work I have been doing in developing terraform plugin and create a set of blueprints that could easily deploy a working example of the scenario. I also took that a step further and created some docker containers that would package up all of the requirements to make this as simple as possible. This demonstration requires the Delphix Dynamic Data Platform and Oracle 11g. You will need to be licensed to use both. This example requires that you posses the proper privileges in an AWS account, access to Oracle 11g software, and access to version 5.2 of the Delphix Dynamic Data Platform in AWS. 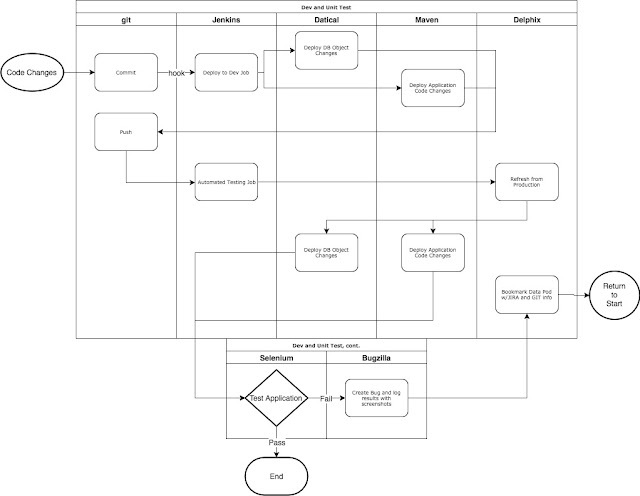 Consult https://github.com/delphix/delphix-terraform-blueprints-rds details on the prerequisties. 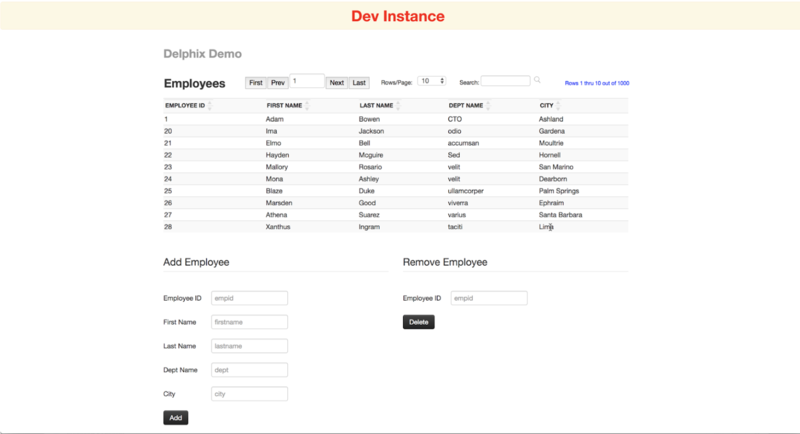 In this example, we will be using a simple configuration using Oracle 11g as the backend. We will first create an Amazon AMI that is configured with Oracle 11g and ready to use with Delphix. 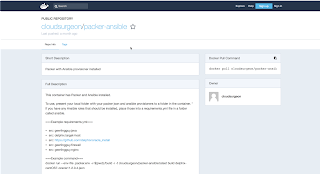 We will build the image using a docker container running Packer and Ansible. 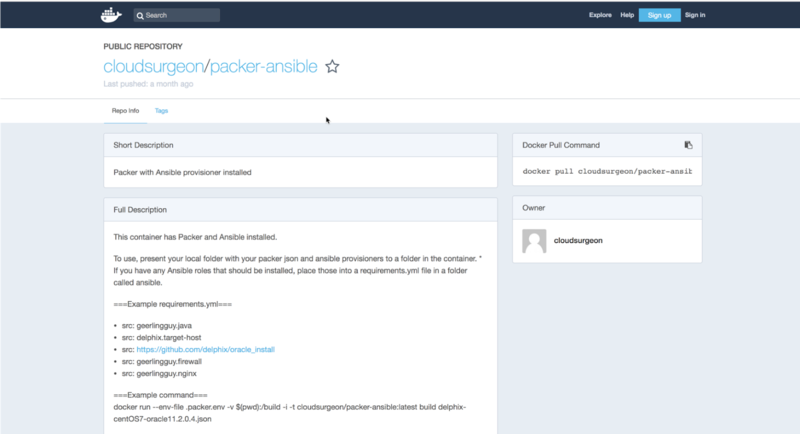 We will be using the cloudsurgeon/packer-ansible docker container to build our ami. 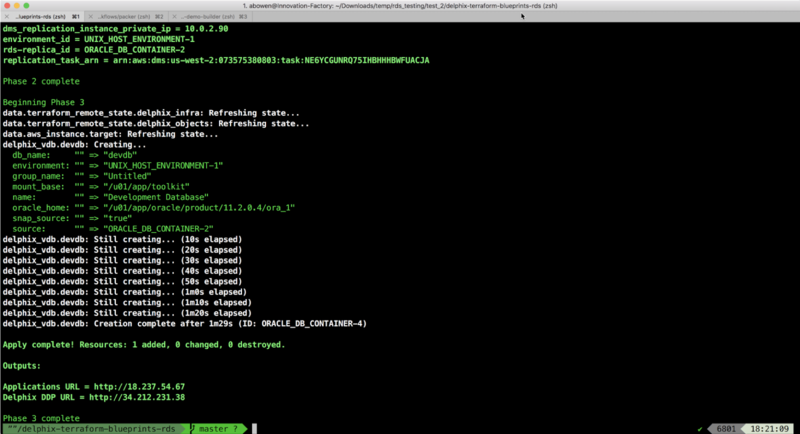 See the full description on https://hub.docker.com/r/cloudsurgeon/packer-ansible for usage details. 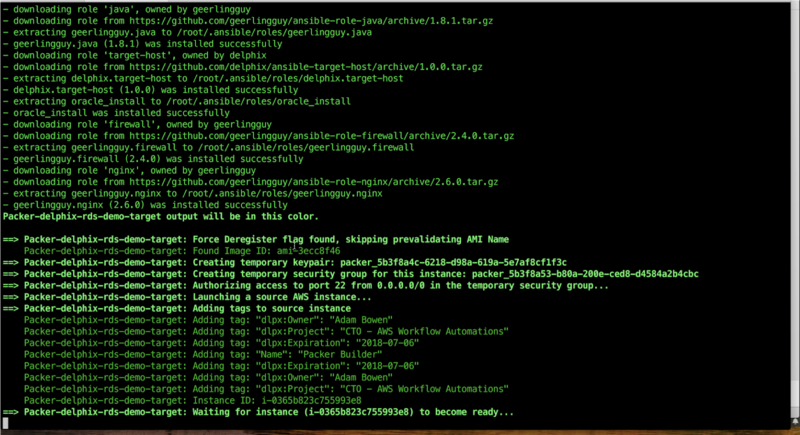 First we clone the repo, then navigate into the directory. 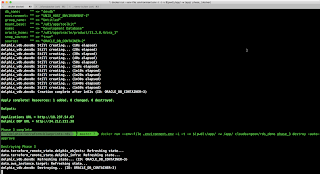 Now we run the docker container against the delphix-centos7-rds.json template to create our AMI. 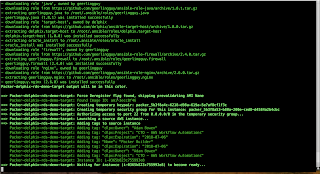 When the container starts, it will download the necessary Ansible roles required to build the image. 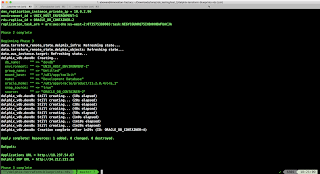 After downloading the Ansible roles, the container executes Packer to start provisioning the infrastructure in AWS to prepare and create the machine image. This process can take around 20 minutes to complete. Now that we have a compatible image, we can build the demo environment. 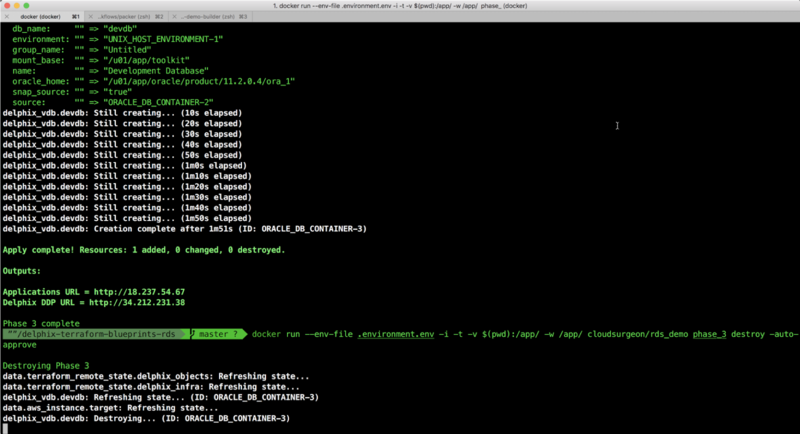 Next, copy the .example.docker file to .environment.env and edit the values to reflect our environment. See the Configuring section of the README for details on the variables. 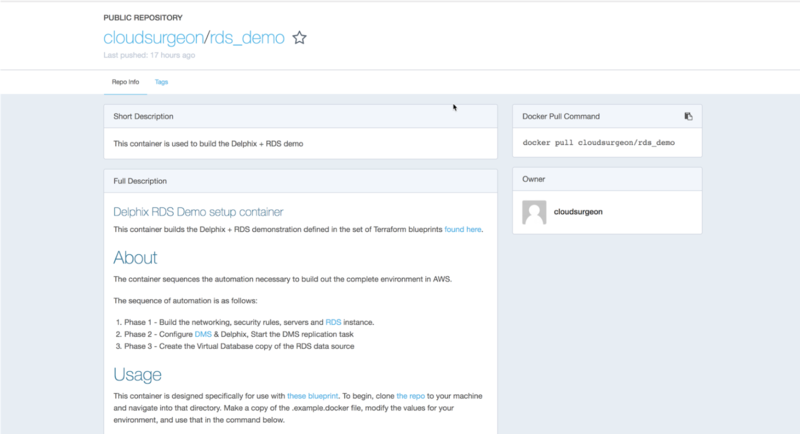 We will be using the cloudsurgeon/rds_demo docker container to deploy our demo environment. 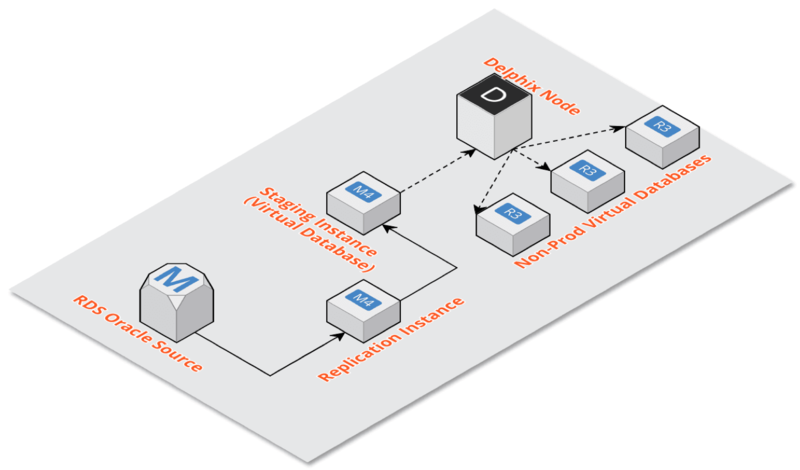 See the full description on https://hub.docker.com/r/cloudsurgeon/rds_demo for usage details. 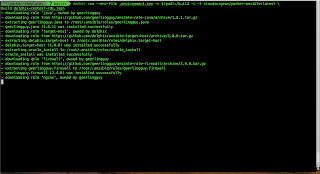 run the rds_demo container to initialize the directory. 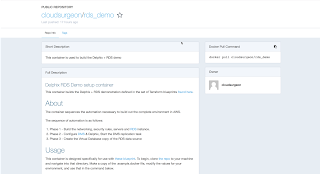 run the rds_demo container to build out the environment. This is repo is actually a set of three terraform blueprints that build sequentially on top of eachother, due to dependencies. Phase 2 - Configure DMS & Delphix, Start the DMS replication task. 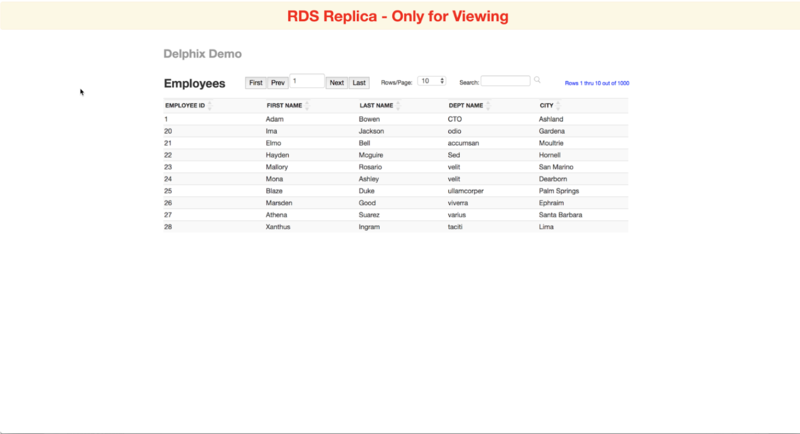 Phase 3 - Create the Virtual Database copy of the RDS data source. Once phase_3 is complete, the screen will present two links. One is to the Delphix Dynamic Data Platform, the other link is to the application portal you just provisioned. 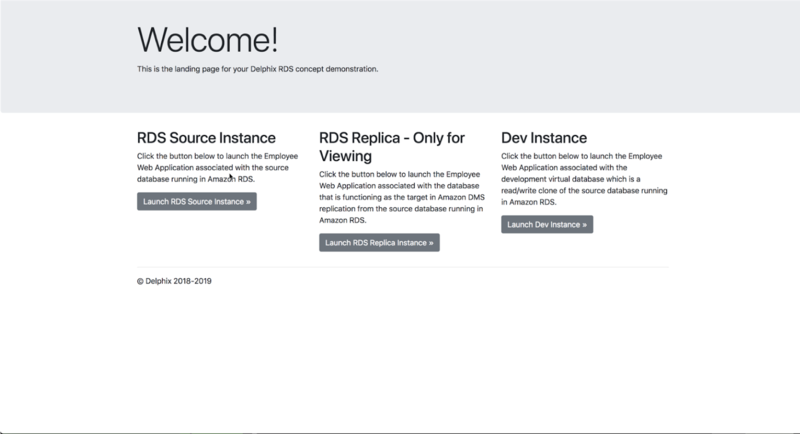 Click the “Launch RDS Source Instance” button. 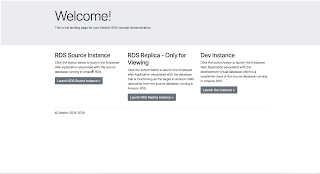 The RDS Source Instance will open in a new browser tab. You are now viewing a read-only replica of our application data. 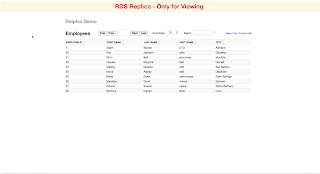 The replica is a data pod running on the Delphix Dynamic Data platform. The data is being sync’d automatically from our source instance in RDS via Amazon DMS. 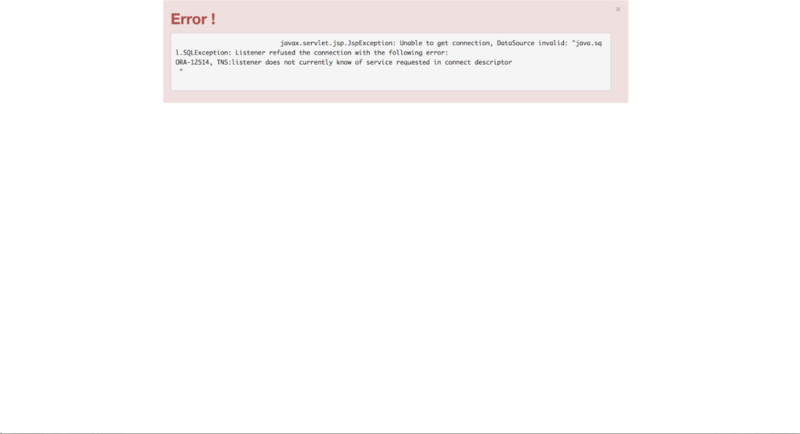 Go back to the application portal and launch the Dev Instance. It is a copy of the RDS replica data pod. Notice we don’t see our new record. That is because we provisioned this copy before we entered our new data. If we want to bring in the new data, we just need to simply refresh our Dev data pod. While we could definitely easily do that using the Dynamic Data Platform web interface, let’s do it via terraform instead. 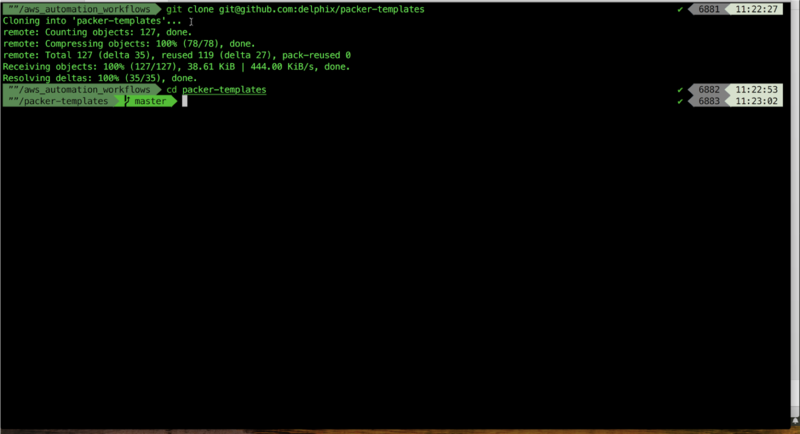 In the terminal, we will run our same docker command again, but with a slight difference in the end. Remember, phase_3 was just the creation of our virtual copy of the replica. By destroying phase_3, Terraform is instructing the DDP to destroy the virtual copy. If you login to the DDP (username delphix_admin/password is in your .environment.env file), you will see the dataset being deleted in the actions pane. If you close and relaunch the Dev Instance from the application portal again, you will see that the backend database is no longer present. If you close and relaunch the Dev Instance from the application portal again, you will see that the backend database is present again and this time includes the latest data from our environment. It will take about 15-20 minutes to completely destroy everything. Test environment data is all over the place, slowing down your projects, and injecting quality issues. It doesn’t have to be this way. According to the TDM Strategy survey done by Infosys in 2015, up to 60% of application development and testing time is devoted to data-related tasks. That statistic is consistent with my personal experience with the app dev lifecycle, as well as my experience with the world’s largest financial institutions. A huge contributor to the testing bottleneck is data friction. Incorporating people, process, and technology into DataOps practices is the only way to reduce data friction across organizations and to enable the rapid, automated, and secure management of data at scale. 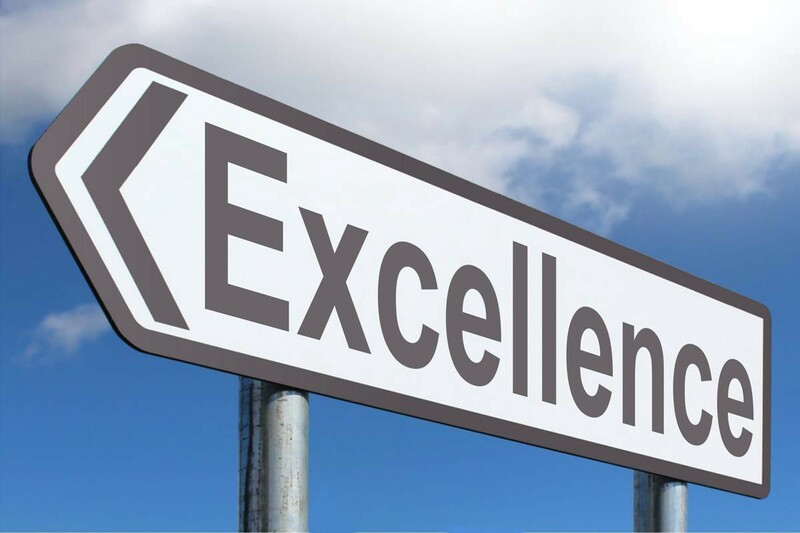 For example, by leveraging the Delphix Dynamic Data Platform as a Test Data Catalog, I have seen several of my customers nearly double their test frequency while reducing data-related defects. 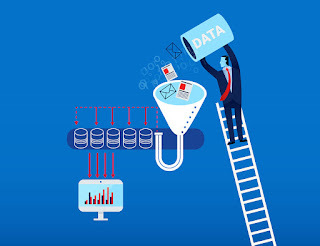 The Test Data Catalog is a way of leveraging Delphix to transform manual event-driven testing organizations into automated testing factories; where everyone in testing and dev, including the test data engineers, can leverage self-service to get the data they need and to securely share the data they produce. Below you will find two videos I recorded to help illustrate and explain this concept. The first is an introduction that speaks a little deeper on the problem space. In the second video, I demonstrate how to use Delphix as a Test Data Catalog. Reach out to me on Twitter or LinkedIn with your questions or if you have suggestions for future videos. Continuous — (adj.) forming an unbroken whole; without interruption. Continuous Integration and Continuous Deployment are two popular practices that have yielded huge benefits for many companies across the globe. Yet, it’s all a lie. Because, let’s face it, there is still a lot of waiting in most CI/CD. To avoid false advertising claims, perhaps we should just start adding quiet disclaimers with asterisks, like so CI/CD**. The waiting still comes from multiple parts of the process, but most frequently, teams are still waiting on data. Waiting for data provisioning. Waiting for data obfuscation. Waiting for access requests. Waiting for data backup. Waiting for data restore. Waiting for new data. Waiting for data subsets. Waiting for data availability windows. Waiting for Bob to get back from lunch — even when devs just generate their own data on the fly– QA and Testing get stuck with the bill. (I am talking to three F100 companies right now where this last issue is the source of some extreme pain). I wish I could say that any one technology could solve all data issues (I have seven kids and that fact alone would pay for their entire college fund). 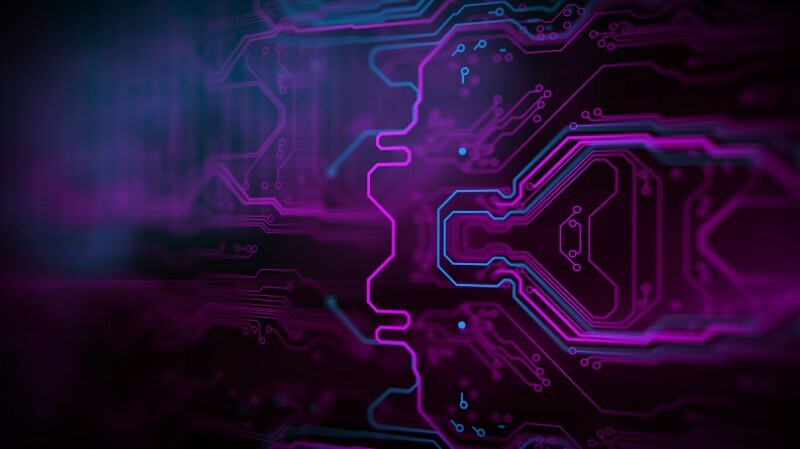 But, I can say that Delphix solves some very real and very big data issues for some of the world’s biggest and best known brands, through the power of DataOps. It allows organizations to leverage the best of people, process, and technology to eliminate data friction across all spectrums. Here I share a video of how I tie Jenkins together with Delphix to provision, backup, restore, and share data in a automated, fast, and secure manner. This video explains how I demonstrated some of the functionality in my Delphix SDLC Toolchain demo. How to use Delphix and Jenkins together. from Adam Bowen on Vimeo. **excluding those things that we obviously have to wait for. I know I have been talking about this for a while, but with the DevOps Enterprise Summit kicking off, I thought it was time to finally do it! Below you will find a video of Delphix integrated into a typical toolchain consisting of tools like Datical, Maven, git, Jenkins, and Selenium. In this video, I walk through a form of "A Day in the Life" of the SDLC, where we want to introduce a new feature to our employee application: we want to record their Twitter handle. 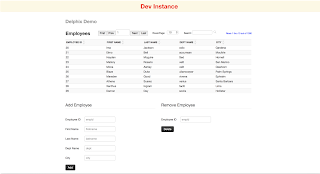 To do this simple change, we will need to introduce database object changes (a column to store the handle) and application level changes to display and record the changes. This is a simple application with a Java + Apache front end and an Oracle 12c backend. Delphix as a part of the DevOps toolchain demo from Adam Bowen on Vimeo. Hey everyone! I’m back in the “demonstration saddle” again to showcase how easy it is to replicate data from one cloud to another. Data friction abounds, and there are few places that feel as much data friction as cloud migration projects. Getting data into the cloud can be a challenge, and adding security concerns can make it seem almost impossible. DataOps practices can ensure that data friction is not the constraint keeping you from leveraging the cloud. I recorded this video to demonstrate how the Delphix Dynamic Data Platform (DDP) works across the five facets of DataOps ( governance, operations, delivery, transformation, and version control) to make migrations "friction free." In this video, you will see me replicate data from Amazon Web Services (AWS) into Microsoft Azure, and also from Azure to AWS. Since the actual steps to replicate are very few and only take a matter of seconds, I spend time on the video explaining some of the different aspects of the DDP. I also highlight leveraging the DDP’s Selective Data Distribution which only replicates data that has been sanitized as a part of an approved and automated masking process. In the conclusion of the video, I demonstrate creating a copy of the masked virtual database (VDB) and demonstrating how quickly you can do a destructive test and recover. Data theft is far more prevalent and profitable now than ever before. 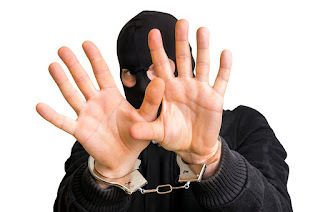 Ever heard of Crime-as-a-Service? There is now more pressure than ever before to modernize our applications to take advantage of the latest advances in DevOps and Cloud capabilities. But the problem is that data growth is actually encumbering most companies' ability to modernize applications and protect customer information. The effect is exacerbated in environments leveraging containerization where application stacks are spun up in seconds and discarded in minutes. Through no fault of their own, the DBA/Storage Admin can't even initiate a data restore that quickly. This has painted data as the bad guy. The consequence of this is that Dev/Test shops have moved towards eliminating the 'bad guy' by using subsetted or pure synthetic data throughout their SDLC. After all, it kills two birds with one stone: Data is small and easy to get it when they need it, and nothing of value exists to be stolen. But the implication of this well-meaning act is that application quality decreases and their application projects are just as slow, if not slower, than before. Their use of non-realistic datasets results in an increase in data-related defects. Then they try to combat the self-inflicted quality issues by creating a whole new data program lifecycle around coverage mapping, corner cases, data quality, data release, etc. The net result is that they spend at least as much human and calendar time on data, as they did before...yet they will still have self-inflicted data-related quality issues. We need to stop the madness. Data is not the enemy, rather it is the lifeblood of our companies. The true enemy is the same enemy we have been tackling with DevOps: Tradition. The traditional way that we have been dealing with the culture, process, and technology around data is the enemy. At Delphix we help our customers quickly flip this on its head and eliminate the true enemy of their business. By enabling our customers to provision full masked copies of data in minutes via self-service automation, they now have data that moves at the speed of business. Their applications release over 10X faster, their data-related defects plummet, and their surface area of data-risk decreases by 80%. And one of the beautiful things is that, in most cases, Delphix is delivering value back to the business inside of two weeks. When you only address the symptoms of a problem, the problem remains. Data is not your enemy; serving data like you did for the last two decades is the enemy. Your data is more-than-ready to be your business-enabling partner, you just need to unshackle it with Delphix. Thoughts on this site are expressly Adam Bowen's and not anyone else's. All rights reserved. Simple theme. Powered by Blogger.